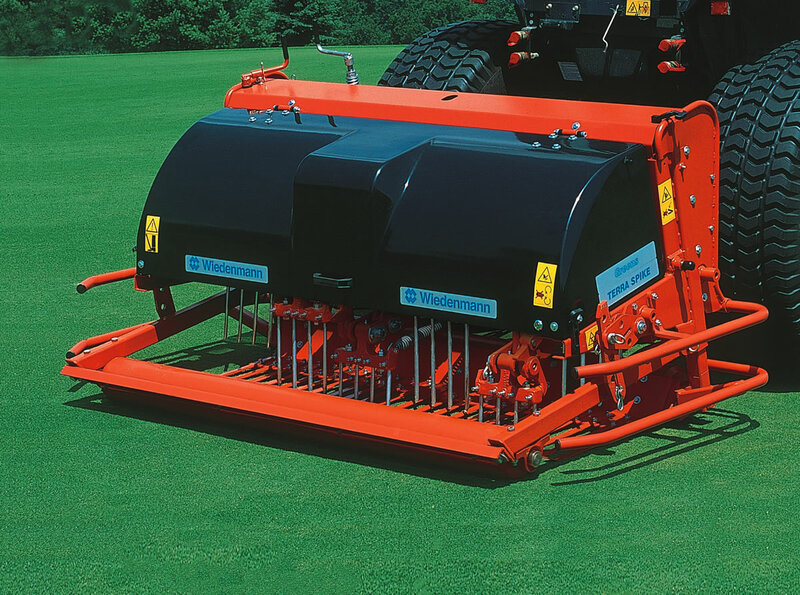 For deep aeration and removal of compactions up to 30 cm depth. The Greens TERRA SPIKE is predominantly used on golf greens and other fine lawns. It produces work of the highest quality and is exceptionally easy to use. With a handsome working depth of up to 30 cm it is both effective and thorough. Available in two widths. Optional Equipment: Full tines, hollow tines, turf retainers, core swath board, hydraulic rotary brush, ballast weight, soil probe cpl. If you are interested in our GREENS TERRA SPIKE use the quick enquiry form below.